On our homestead, we have more than one chicken coop. Yes, I want nesting herbs for my hens! We have something like 200 chickens on the farm, and so we have a 100 year old chicken coop and a second, more modern home for our flock. Both chicken coop designs are great, and serve their purpose (keeping our chicken flock warm and dry) well. In this episode of What The Cluck?! we talk about chicken coops. Spring is coming up and if you don’t have chickens yet, when you get them, you’ll need a coop, or, if you’re like me and have chickens but always want more, then you might need a second chicken coop. We’ll cover what your coop should include, what it shouldn’t; and also what’s essential and what you can include that might be a little bit fun and also functional. The chicken coop you will keep your chickens in is perhaps one of the most important decisions you’ll make for them. And when it comes to coops, you might see all sorts of really cute ones on Pinterest, and while they’re great, and if you want one, by all means go grab one, they aren’t necessary. When it comes to chicken coops, above everything else, it should keep your flock out of the elements and provide shelter and keep them warm and dry during inclement weather and provide shade in the summer. It should also provide them with protection from predators. 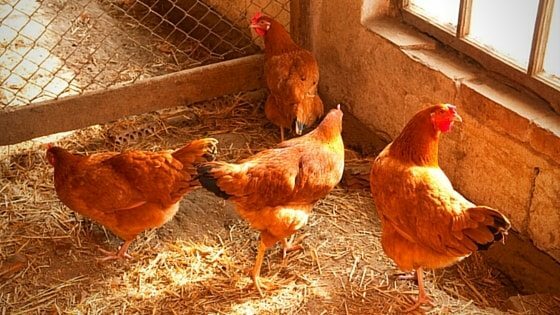 (Here are more practical tips on keeping your chickens safe from predators). So, whether your chicken coop design is picture perfect or an old shed on your property, as long as it keeps them safe, your coop is perfectly fine. Of course, it’s also perfectly fine to add some fun elements and make it a pretty part of your home and landscaping. In some areas, depending on neighbors or homeowners associations, or if you’re a crafty person with a good sense of aesthetics, dressing up your chicken coop might also be a good idea. Read more about raising chickens with neighbors. There are, however, other things to take into consideration, such as space requirements, ventilation, cleanliness, and chicken nesting boxes, and chicken roost ideas. So, let’s first talk about space requirements. Whether you build your own chicken coop or purchase one already made, the space requirements are the same. Proving adequate space in the coop is extremely important so your chickens stay healthy and to reduce the chance of stress and negative behaviors. Once they start bad behaviors or develop something like an upper respiratory infection, it can be difficult and time consuming to stop and you’ll do yourself a service by preventing these things from the outset. What are the minimum requirements for space in a chicken coop? A solid rule of thumb is if you plan to free range your birds either for part or all of the day, then you should provide 4 square feet per chicken in their coop. For birds that will remain cooped most of the day or all the time, then 10 square feet of space is necessary. Of course, providing an additional run is ideal as well. We have two different chicken runs on our farm, and they’re slightly different. Our first run, which is attached to our main chicken coop, is very large, and we enclosed the space using hog paneling, which they can’t get through because they are large chickens. The second chicken run is made of smaller chain link, and I should mention that when it comes to our adult chickens, we don’t have many issues with predators. With our young chickens, we have issues with possums and hawks, but with our adults, our predators have been mostly dogs. So, the second run is made of chain link because we got a really good deal on what used to be a pre-built dog run so it is definitely big enough for the chickens. The run does have chicken wire on the lower 2 feet because we’ve had pigs get loose and root it up, and in one memorable night we had some animal, I can’t say what it was, rip open a hole in the bottom, so possibly a dog or a raccoon, so we added 2-inch wire to the bottom to keep them safer. That chicken run has 2-inch chicken wire on the top, and that is largely to protect from predators but it’s also to keep the chickens in, because even though the run is 8 feet high, I have some champion fliers that also like to lay eggs in random parts of the property. So, your run, if you don’t let your chickens free range, should complement your coop and give them extra room to spread their wings, and should be safe for your particular area. Chickens that are confined and don’t have enough space might start to develop habits like egg eating or pecking at each other. They can also develop nutritional problems. So next, let’s take a look at what your coop should contain and what it shouldn’t. Like I said, when it comes to coops, even the simplest structures will make a perfectly fine home for your chickens. As far as housing goes, chickens are simple creatures, and prefer to spend their days foraging and dust bathing, even in inclement weather, rather than staying indoors. It should have space for a chicken feeder and waterer. So, let’s talk about each of these in more detail. First on our list is good ventilation, and this is really important for a few reasons. When it comes to ventilation, windows are a good thing to include, or your coop can have an open doorway that allows air circulation. Chickens poop everywhere, and after a time, this manure builds up, and it’s much worse when the ventilation isn’t good. Chickens have a delicate upper respiratory system, and they’re susceptible to things like upper respiratory infections, so too much ammonia in their coop can harm your chickens. Good ventilation and cleaning the chicken coop regularly will help prevent upper respiratory infections. Our coops have windows, and one of our coops has a 4-inch gap between the roof and the walls to allow for a cross breeze. There’s an overhang so the inside of the coop doesn’t get wet inside when it rains. Of course, if it’s raining out, or very cold, you might want to close these windows and doors, so some sort of door is necessary, but overall, making sure there are windows in your coop will help promote good ventilation. Another thing to consider is windows and doors allow the sun in, which means your chickens will get their daily dose of Vitamin D. Vitamin D is necessary for all sorts of things, but in particular it helps with calcium absorption, which in turn promotes healthy egg shells and healthy bones. So, windows and good ventilation are both good things for your chicken coop design. Next, your chicken coop should be built so that it’s easy to clean, and this is part of good ventilation. It should have an opening large enough for an adult human to fit through in order to thoroughly clean it (read more about cleaning your chicken coop like a pro). I see coops for sale all the time that look adorable but I can’t really see a good way for a person to get inside and pull out soiled bedding, manure, etc and replace it with new, clean material. Similarly, your run should be large enough so you can fit inside it. In addition to the cleanliness issue, what happens if there’s a sick or injured bird in the coop or run? How will you get it out if you can’t fit in there? 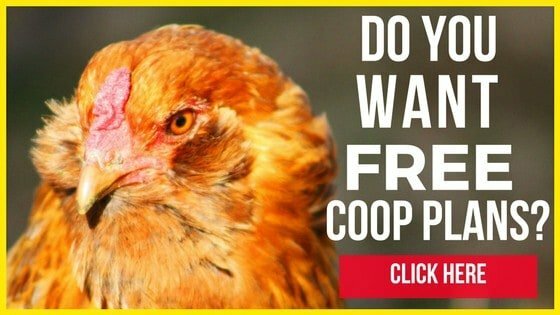 Your coop should also be predator-proof, and we’ve touched a bit on this, but let’s look into it further. Your chicken coop should protect your chickens not just from predators that might wander into the coop, but also those above and those that might dig under your chicken wire and into your coop. In Podcast session number 13, we talked about predators and how to protect your flock against them, so we won’t get into that too much now. Click here to listen to that podcast session and learn more about making your flock predator proof. But suffice to say, your coop should keep predators out, and a good way to do that is to use hardware cloth on your run and over gaps such as the 4-inch gap in one of our coops that I previously discussed. Half inch is best and I recommend hardware cloth because it’s harder for predators to get through. Some predators will try to dig under your coop, so using hardware cloth on the ground outside your coop, you can either bury it 4 to 12 inches deep into the ground or bury it flat 12 inches out from your coop to prevent predators digging under. In addition to predators, your chicken coop should be as secure as possible from mice and rats that are attracted by the feed and droppings. Here are more tips on keeping mice out of the chicken coop. A floor is one way to keep them out, but if you don’t have one, then burying a hardware cloth fence down into the ground and about 12-inches all around the coop will help deter them. Remember that if mice and rats really want into your coop, they can chew through the wood, so if that’s happening, consider placing hardware cloth about 12-inches high around the bottom of your coop. Your coop should include a place for feeders and waterers, and what that will look like depends on what your feeders will be like. Some people use PVC feeders while others use ground feeders, and still other people like to hang their feeders and waterers. So, it’s really up to you and what works best in your coop. You should also be able to easily access the feeders and waterers. Here’s a great DIY Chicken Waterer Plan for you. 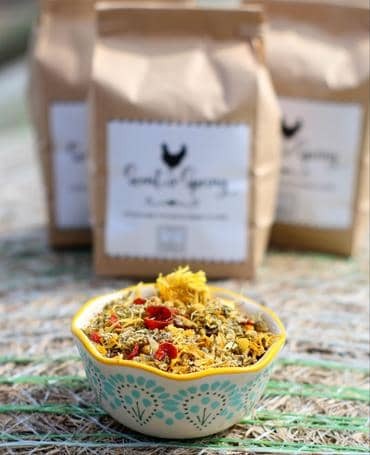 Here is a recipe for Homemade Organic Chicken Feed. Chicken nesting boxes are another consideration for your chicken coop design, and the rule of thumb is 1 nesting box per 5 hens, but I like to provide more than that, and it never hurts to have too many. Chickens typically like to lay in the same nest, so don’t worry about having a box for every chicken. If you have 5 chickens, then 3 nesting boxes will suffice. You can add herbs and hay to the nesting boxes so your chickens have a pleasant place to lay their eggs. Mint is one option, and rodents hate mint, so it has a dual purpose. Oregano, which has strong antibacterial properties, is another good option. I prefer hay over straw in nesting boxes, and my chickens seem to prefer as well. Hay is generally softer and smells sweeter, as long as it isn’t moldy. When it comes to chicken nesting boxes, you have a lot of options, and pretty much anything that offers a quiet, dark place to lay eggs will work. I’ve seen nesting boxes made from 5-gallon tubs, I’ve seen them from baskets; there’s a lot of options. Just pick something that you and your flock like, and that can be easily cleaned if necessary. Nesting boxes should be in a dark corner of the coop or you can shield them with a curtain. Chickens like to lay eggs in dark places. This is an evolutionary thing, and when a hen lays, she’s at her most vulnerable. Often times, if you place your nesting boxes in the “wrong area” according to your hens, they’ll choose to lay elsewhere. Hens can be very particular! Our hens like their nesting boxes to be quiet and secluded, because otherwise they can get easily bothered by other hens or by the roosters. if you’re concerned about mites and lice in the nesting boxes, or just want to prevent them, you can sprinkle diatomaceous earth in the boxes. Your chicken coop should also have a way for you to easily collect the eggs. One of our coops is large enough for us to just walk into, while another coop is smaller. We use a window box to collect the eggs in that coop. If your coop has a way for you to collect eggs from the outside, so much the better. But the last thing you want is to have to crawl through dirt and manure to get your eggs. So the last thing you should think about for your coop is a chicken roost idea. Chickens like to roost; it’s how they sleep, get away from predators, and it lets them stay warm in cool weather because they can group together. If your chicken coop doesn’t have a place for them to roost, you can make one for them out of pretty much anything as long as its wide enough for them. We’ve used branches, old broom handles, 2×4 studs, wooden dowels, or pretty much anything else you find around your property as long as it’s safe. If you do use an old broom or mop handle, be sure to screw it down so it can’t move, otherwise your chickens will have a hard time balancing. Similarly, branches make great, natural roosts, but make sure they’re solid so your chickens won’t fall off. Roosts should be between two and four inches wide but the bottom line here is to not make them so wide that your chicken can’t drop their poop below them since chickens and all birds poop whenever their bodies need to since they don’t have bladders. Another good idea is to place a removable tray under your chicken roosts to make removing manure easier and cleaner. This might not logistically work for you, but making sure you can easily remove manure from the coop of course means a cleaner, more sanitary coop. It’s also an easy way to gather manure for your compost bin. Whether you buy a premade coop or build your own doesn’t matter, simply make sure that the structure meets the basic requirements of your chickens. On our farm, we use a 100 year old shed for one flock, which has adequate roofing and ventilation, as well as places to roost. For another flock, we built a traditional chicken coop that looks quite different. It still keeps them warm, and has great ventilation, and our chickens seem quite happy in it. When it comes to coops, you can invest as much or as little as you like, as long as it meets the basic requirements we outlined above. If you’re looking for a specific coop to buy, you can find one I love at TheFrugalChicken.com/coop and that is an affiliate link. It has everything you need for up to 4 or 5 chickens. If you’re interested in building your own chicken coop, I have free instructions on my blog, click here for some DIY Chicken Tractor Plans that you can make even if you are broke. The plans are detailed, and you’ll learn how to make a chicken coop in my step-by-step system with photos. I’ve also got this list of 55 DIY Chicken Coop Plans for you to check out. So, what would your perfect chicken coop look like? I’d love to hear about it, so there’s something I want you to do. I would love it if you dropped me a line at editor@thefrugalchicken.com to let me know. Now, if you would like to score a free book that tells you the one thing you should feed your hens for nourishing eggs, I have one for you! You can grab a copy of this book, it’s called The Better Egg, at TheFrugalChicken.com/TheBetterEgg. Thanks for listening to this episode of What The Cluck?! about chicken coops, and I’ll see you next time! You can build a homemade chicken coop or buy one, but your chicken coop must have certain things to be adequate housing for your flock. You'll learn what your coop should contain and what to avoid. We’re in the process of building our coop. We’re using found materials and donated wood, thus far the coop itself has cost us nothing but labor. We will be purchasing base paint and chicken wire. I’ll be sure and post photos when the weather clears up here in central VA.
Hi Kathie – I would love to see your coop when it’s done! Love hearing that you’ve been using found materials to build the coop. I’m sure your hens will love it! I enjoyed listening to this, thanks for the tips. When you that rodents hate ment and rosemary, did you mean that we put the herbs in the coop or as in essential oils? You can use either. Essential oils will be more concentrated, of course. I didn’t catch that you can use rosemary. Is this a good deterrent for mice? We have a new coop! The chickens seem very happy! At night when I go to close the door to their coop they are all congregated at the door, sitting on the edge. The door is a sliding door, they have a ramp leading up to the coop. In the morning, after being physically put in the coop and door closed, they are settled on their roosts when I go to let them out. Any ideas why they are behaving like this? Do you have to separate a mother hen and her new babies from the rest of the chickens or will be mother take care of them? You mentioned “I prefer hay over straw in nesting boxes” Which kind of hay do you use? We have oat and alfalfa available. The oat is definitely cheaper. We also have grass clippings available. Just curious what you find works best. Thanks! Oat hay would work! We have easy access to straw so we use that too.